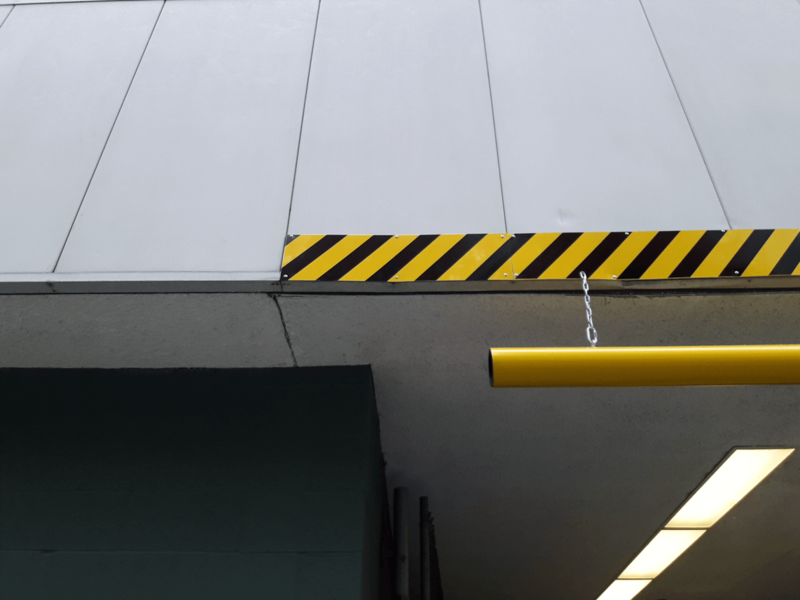 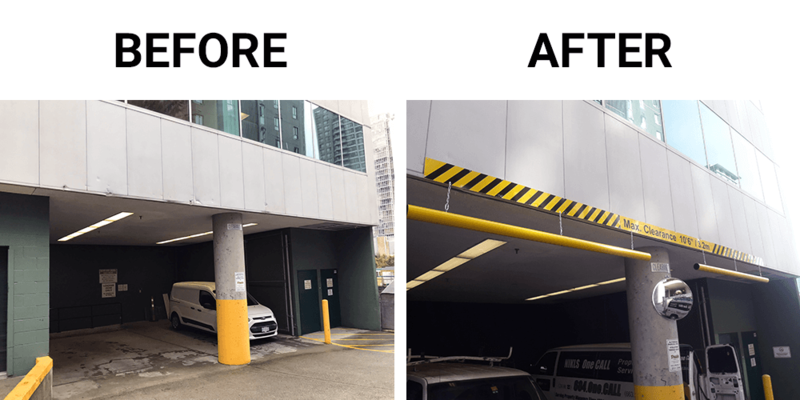 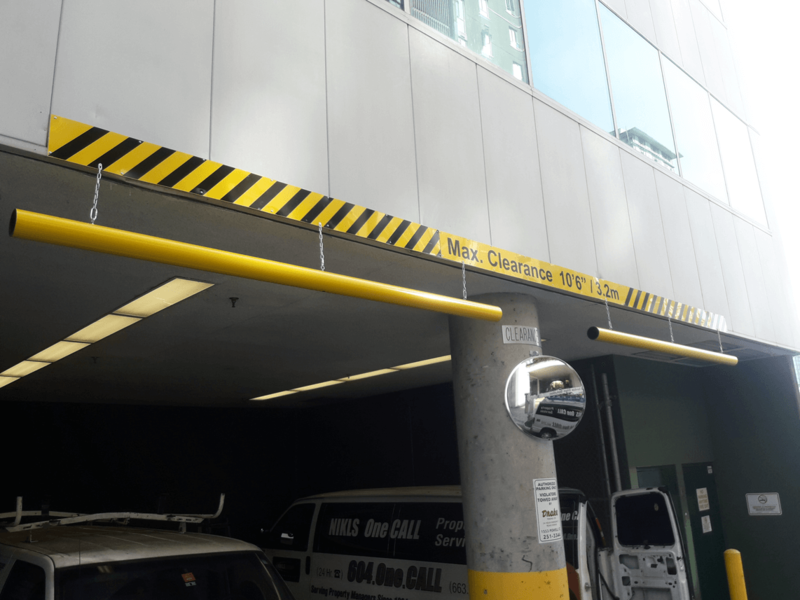 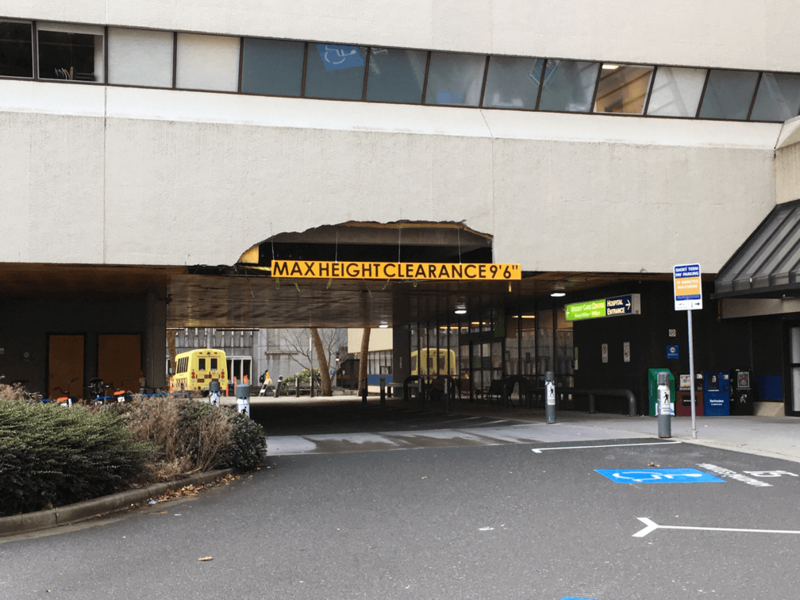 Maximum clearance bars are critical for underground parking facilities to prevent damage to concrete structures, sprinkler systems, and other piping or ducting that high vehicles can hit. 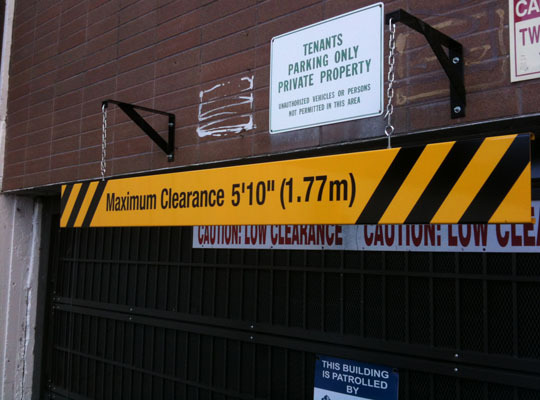 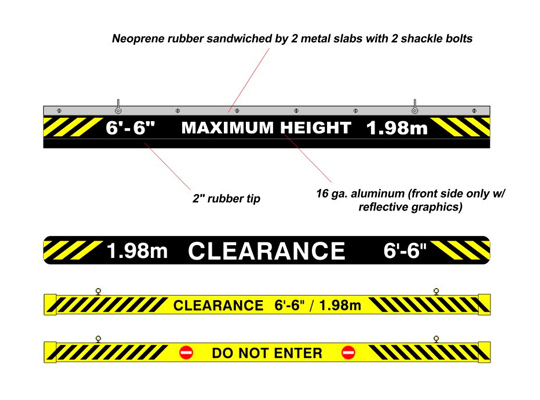 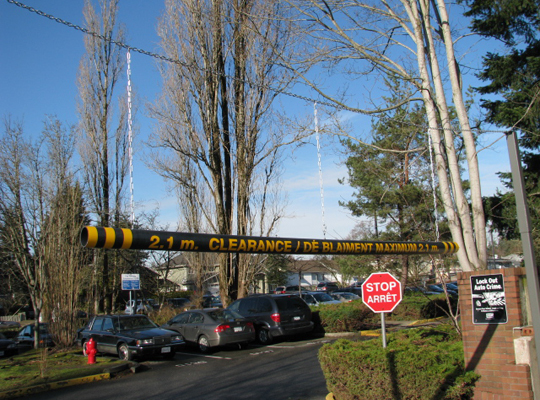 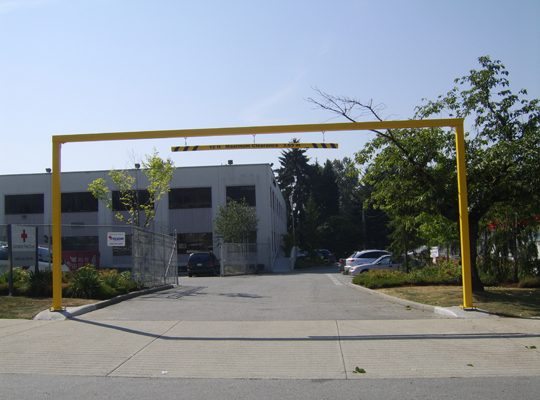 Maximum Clearance Bars and Signs must be used at anywhere that the clearance is less than 150 mm greater than the maximum height of a vehicle plus its load permitted by BC law. 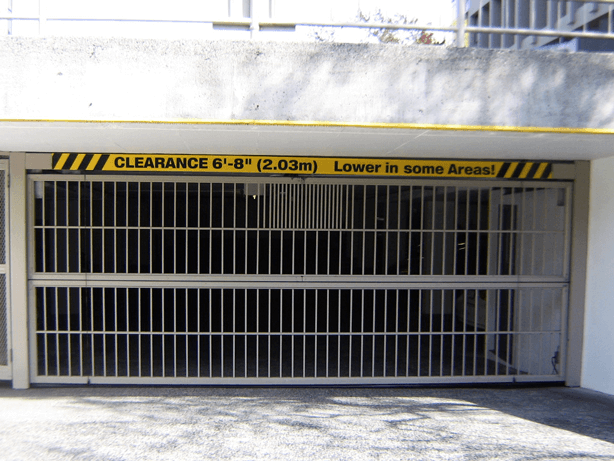 In any case, they must be used where clearance is less than 4.3 metres. 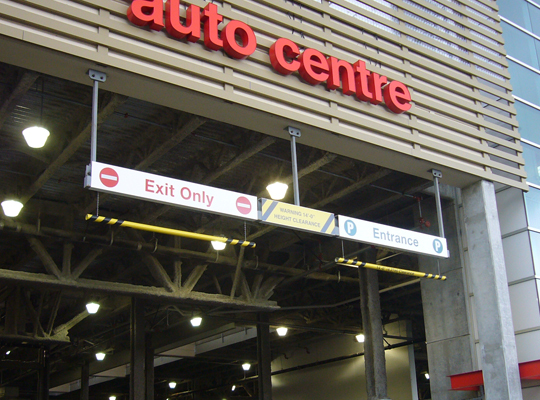 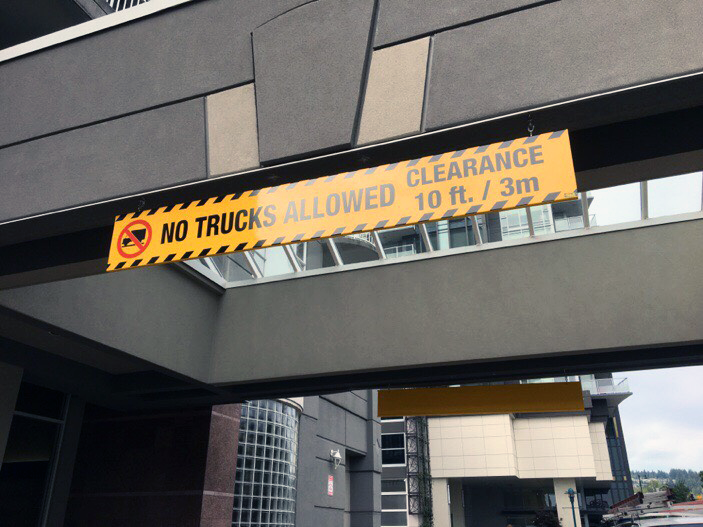 It’s crucial that clearance heights are properly calculated for display on signs and bars to give over-height vehicle operators ample warning to find an alternate route and avoid colliding with the overhead structure. 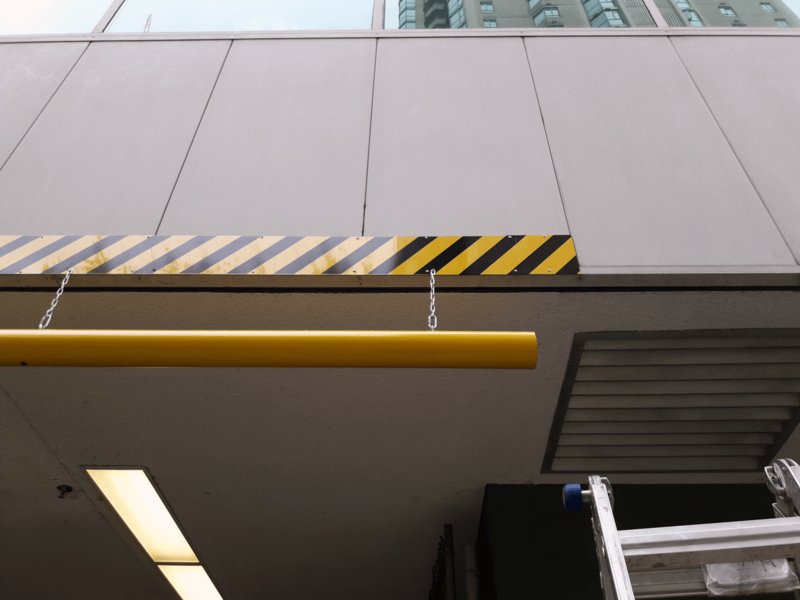 Accidents involving an overhead structure can cause serious property damage, as well as block traffic flow.